The Mount Royal landscape in the Hunter Valley can be wild and adventurous... or you can experience rainforests and scenic beauty with a short walk. 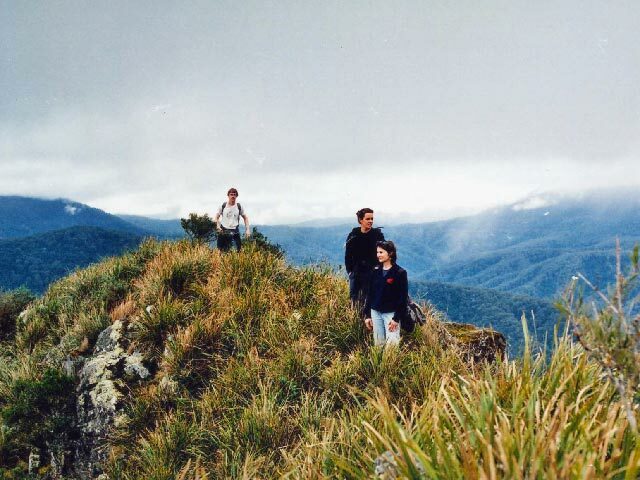 Whether you want an easy walk in nature and peace, an adventurous climb to see a breathtaking view, or are in training for an epic multi-day walk, Mount Royal provides excellent bushwalking opportunities. Best of all, it is quiet and away from the crowds. Callicoma Hill, offering a self-contained eco-cabin, bunkhouse and bush camping is near the Mount Royal entry to Mount Royal and Barrington Tops National Parks and the Barrington Tops wilderness area. 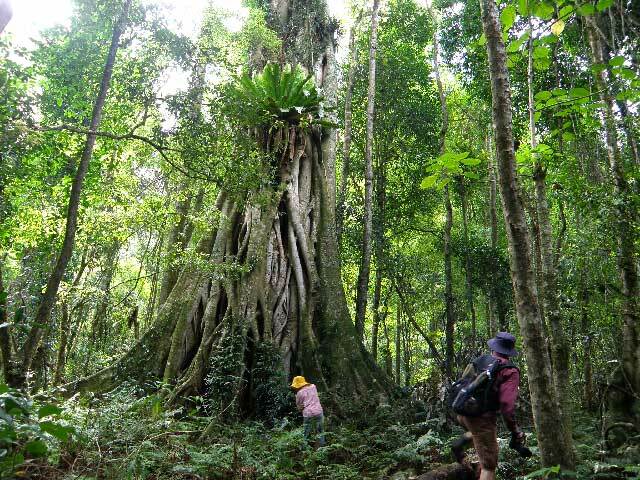 The area is part of the World Heritage listed Gondwana Rainforest Reserves, a place of great scenic beauty and natural diversity. Bushwalks and hikes are an opportunity to be active, to have fun and to enjoy and learn more about the beauty of the natural areas of the Hunter Valley. Walking is a great way to share experiences with friends and family. Contact Callicoma Hill for more information about walks and hiking. Read more about other events and activities you can enjoy during your stay at Mount Royal. You can enjoy short bushwalks on the Callicoma Hill property. These marked walks on well graded tracks through the forest are suitable for most people. Walks range from about 10 to 30 minutes and enable you to experience native animals in the wild and the sounds of nature. Forest gully walk – Easy circular 20 minute walk through tall eucalypt forest, especially in November when Callicoma serratifolia trees in the gully are flowering. Lookout walk – Easy shaded 20 minute loop walk above the escarpment with glimpses through the trees over Lake St Clair and the Hunter Valley. Sunset walk – Easy 30 minute return walk on relatively level track past small creek and farm dams. Best in late afternoon when you see changing colours of the sky as the sun sets through blue gum and stringybark forest. During a stay at Callicoma Hill, you or your friends will have exclusive use of the property and the walking tracks and forest. 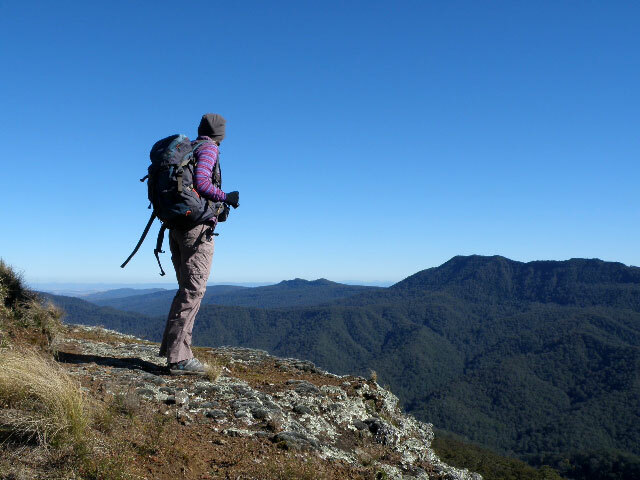 The natural areas of Mt Royal National Park and Barrington Tops National Park are close to Callicoma Hill eco-cabin, bunkhouse and bush camping and provide a range of walking opportunities, from easy short walks to full day, and overnight walks. Two of the walks are included in the 20 Great Hunter Region Walks Map produced by Callicoma Hill. A short walk in the majestic forests near Youngville Picnic Area. Climb Pieries Peak following the track from Youngville Picnic Area, a 2 hour return walk best in fine weather with some climbing and magnificent views. Walk along Youngs Road - an easy walk along a formed, unmarked track through rainforest and magnificent trees for a 1 - 2 hour return walk. Beware of stinging nettles and stinging trees along the track. Climb Mount Royal in the Barrington Wilderness and Gondwana Rainforests World Heritage Area. This is a hard unmarked walk and should only be undertaken by experienced and properly prepared walkers in good weather. You can combine a bushwalk and a mountain bike ride to see more of Mount Royal National Park. 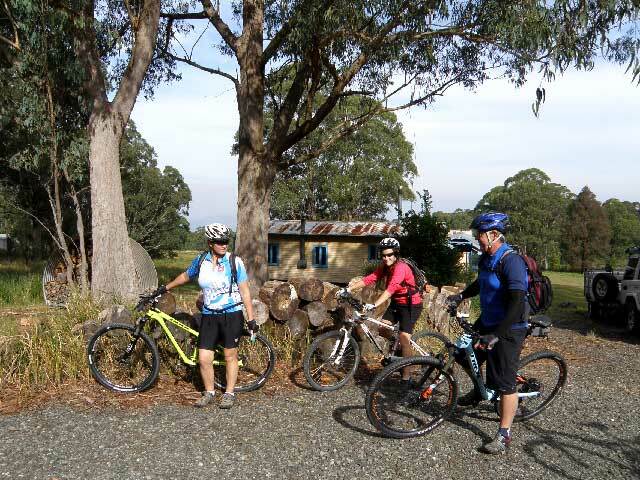 A 30 km loop road from Callicoma Hill through the national park with hardly any traffic is a great mountain bike ride and provides access to walks. Contact Callicoma Hill for more information. Get a copy of the 20 Great Hunter Region Walks Map produced by Callicoma Hill and learn about the best walks in the diverse landscapes of the Hunter Valley. The map describes 20 Great Walks suitable for people with a range of experience and fitness. You can visit the beautiful natural areas of the Hunter Valley, and there is a walk suitable for everyone. It provides a short introduction to each walk, including location, grade, highlights and the topographic map references. 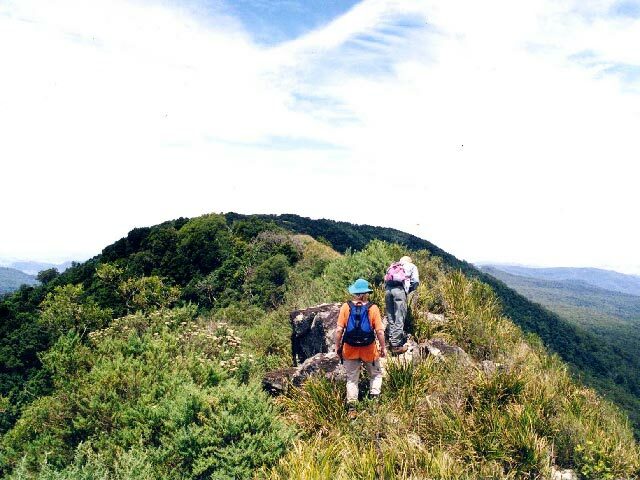 Two of the walks in Mt Royal National Park are close to Callicoma Hill eco-cabin, bunkhouse and bush camping. The 20 Great Hunter Region Walks Map is available for purchase direct from Callicoma Hill and a number of other outlets in the region including visitor information centres and national parks offices. Contact Callicoma Hill to obtain a copy. Quality blank greeting cards featuring scenery from some of the great walks are also available. We organise guided and self-guided walks and events in the natural areas of the Hunter Valley. You can expect to see true wilderness, ancient forests and unique wildlife, and will experience nature’s moods and colours in the fresh outdoors. Led by an experienced guide, walks explore the natural history, native animals and scenery of Mt Royal and the Barrington Tops area of the Hunter Valley. These walks are in the Gondwana Rainforests World Heritage area 15 minutes drive from Callicoma Hill eco-cabin, bunkhouse and bush camping where accommodation and camping are available. Consider a personal, guided walk for your interests and abilities. The featured guided walk follows in famous explorer Ludwig Leichhardt’s footsteps and retraces his adventures at Mount Royal in 1843. This is a short, hard guided off-track walk exploring the landscape, plants and geology. This includes spectacular scenery, original journal readings, and talks about the famous scientist’s natural history collections. Contact us for more information and a walk to suit your fitness and interests. Walks tread lightly on the earth and minimise impacts on the natural environment. Walks at and close to Callicoma Hill eco-cabin, bunkhouse and bush camping are suitable for children and families. 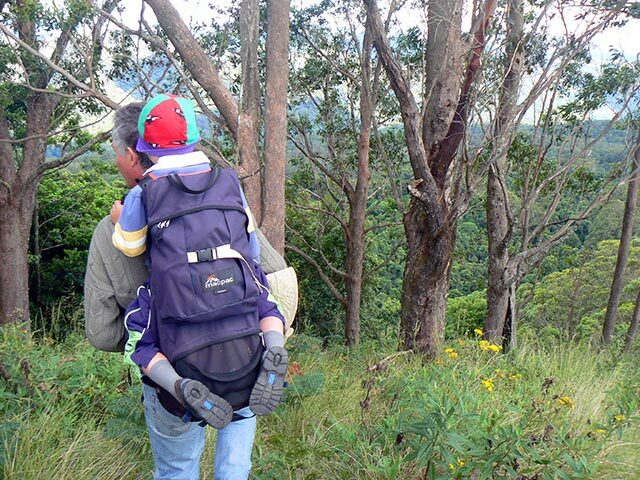 If you would like to walk, but your family or friends do not, they can stay in comfort while you enjoy your bushwalk. Callicoma Hill also has opportunities for nature based adventures for children in a safe environment such as building with natural materials and nature play. Contact us for information. For information about bushwalking, see the useful guide at http://www.bushwalking101.org/. This website information is from the NSW National Parks Association which organises a bushwalk program and has partnered with Callicoma Hill in walks and activities. Mount Royal is an area renowned for the rich diversity of its native mammal species, and scenic forests. 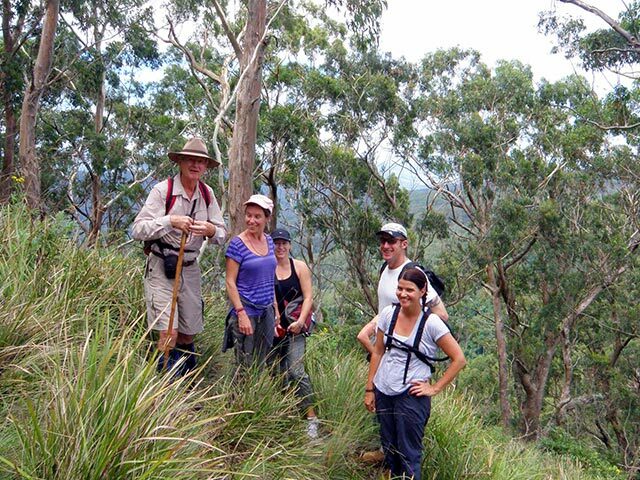 Bushwalking and hiking is a great way to see inquisitive wildlife and an interesting variety of plants and landscapes. 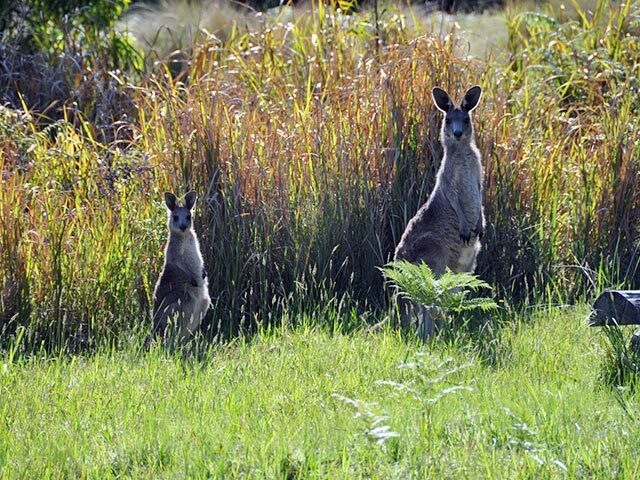 You can see kangaroos, wallabies, potoroos, pademelons, koalas, bettongs, gliders and a wide range of birds. Some of these animals are rare and listed as threatened species. Many Australian animals are active at night, so take an evening spotlight walk suitable for all ages to observe native wildlife, the night sky and the sounds of the bush. You will need to bring warm clothes, torches and suitable shoes, and be able to stay quiet. We follow guidelines for wildlife observation and visitor behaviour to benefit both animals and observers. When it comes to wildlife observation there is no greater reward than to see animals doing their own thing undisturbed. A 2 or 3 day stay at Callicoma Hill eco-cabin, bunkhouse or bush camping will provide opportunities for you to get off the beaten track and observe more native wildlife. You should always be suitably prepared. Many of the walks are in remote locations and mobile phones may not work. Wear suitable clothes and walking shoes or boots, take a hat plus sun and wet weather protection. Always carry adequate drinking water and some food. Always allow adequate time for a walk. Leave information with someone reliable of where you intend to go, and what time you expect to return. It is desirable to take a map and compass. Visitors to the natural environment should be aware that natural hazards occur and that land management agencies will not accept liability for any injury or damage arising from such hazards.